Flights to Hawaii continue to be awfully reasonable following Southwest's long-delayed entrance into the market. You don't even have to find a single sale to find great prices. (Though, the prices aren't likely to go down to $49 like Southwest offered for its first flights into Hawaii.) Right now you can find round-trip flights for as little as $277. The flights are available through a number of airlines, as highlighted by The Points Guy, including Alaska Air, Delta, United, Southwest, Sun Country, American Airlines, and Hawaiian. The majority of the low-price flights are found in April and May or August through October. 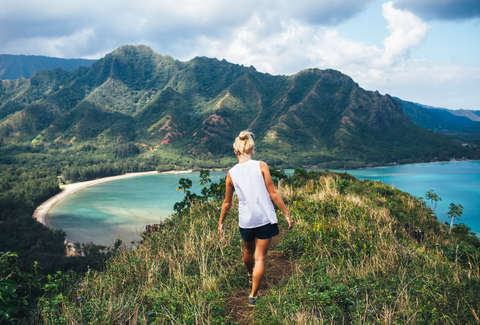 Some of the best deals currently available include flights to Kahului, Maui from Albuquerque ($355), Dallas ($429), Minneapolis ($437), Oakland ($278), Phoenix ($418), San Diego ($287), and San Jose ($279). You can also dig up flights to Honolulu from Boston ($512), New York ($479), San Diego ($278), and Washington, DC ($447). Find something cheap and celebrate the arrival of spring like royalty on a beach.